Sprigs of fresh basil for garnish. 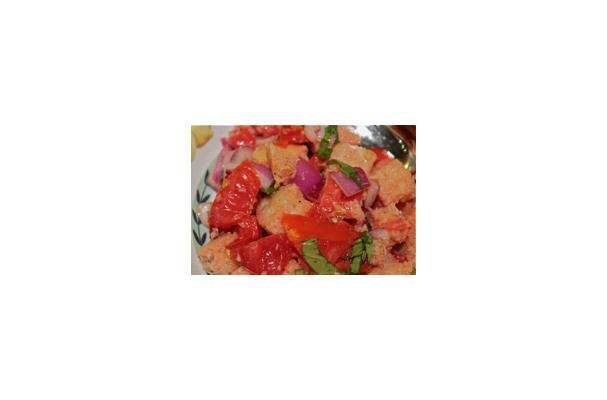 In a large bowl, combine the tomatoes, red onions, basil, olive oil, vinegar, salt and pepper until well mixed. Just before serving, toss in the bread cubes. If you prefer, you can allow the salad to set for 10 minutes before serving so that the bread soaks up the vinaigrette more.